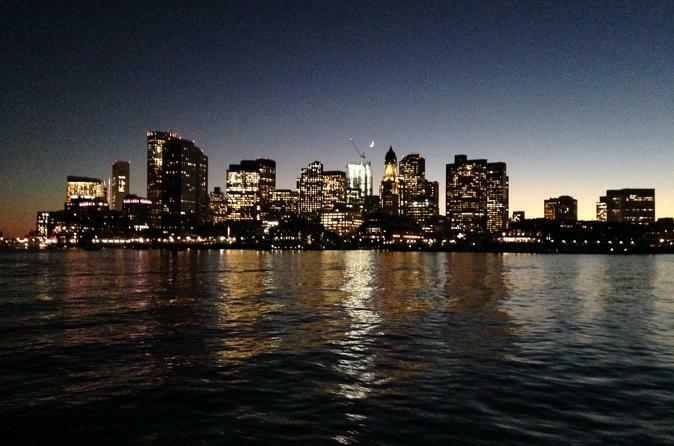 Enjoy the lighting on the iconic buildings and bridges of Boston Harbor such as: International Place, the arch at the Boston Harbor Hotel, the Marriott Custom House Tower, New England Aquarium, The Lenorad Zakim Bridge, and The Mystic Tobin Bridge. The knowledgeable captain and crew are always ready to answer questions about the sights and history of Boston Harbor and its surrounding areas. From interesting facts to old-time legends, the maritime world of Boston has many great stories to offer. Adult beverages are available for purchase by credit card only. Soda and water are complimentary. Come enjoy the ride, see the sights and have a drink with us!